At DIY.Fund, we aim to make investing simple, straightforward, and accessible to all people. We don’t think you need to be a professional to manage your portfolio well. We believe that with the right tools, anybody can manage their portfolio well. However, as diligently as we try, we can’t overcome the fact that being a human makes investing hard. Humans aren’t emotionless robots that always perform logically. It’s logically easy to remember that a portfolio may take 3-5 years to recover from a big market disruption, but it’s quite different to live through three years without panicking. It’s not easy to see stocks like Facebook, Apple, Netflix and Google soar to new heights day after day while you watch your well balanced portfolio of low cost bonds and ETFs earn next to nothing for the entirety of 2017. Being human causes investors to look around and wonder, “What might be better?” What might protect me from the next huge market crash? 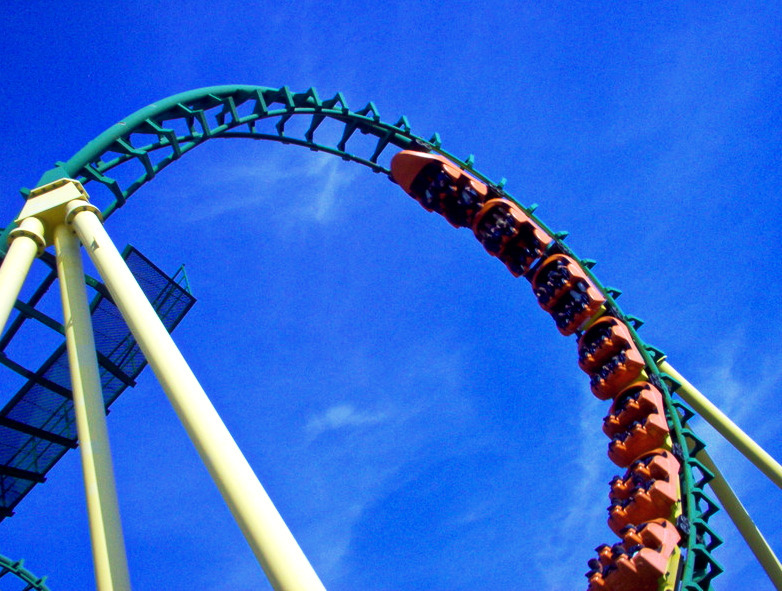 What might cause my portfolio to soar while the market moves sluggishly? As humans we suffer from recency bias (the temptation to weight more recent events more heavily than events further in the past) which often means that our perceived tolerance for risk changes right along with the market performance. As the market crashes, our appetite for risk weakens, and we seek safe havens for our money. As the market grows, our appetite for risk (and returns) grows. No matter how hard you try, at some point you will be tempted to change your strategy because your perceived risk tolerance has changed. Unfortunately, this is usually the worst possible moment to change your strategy. 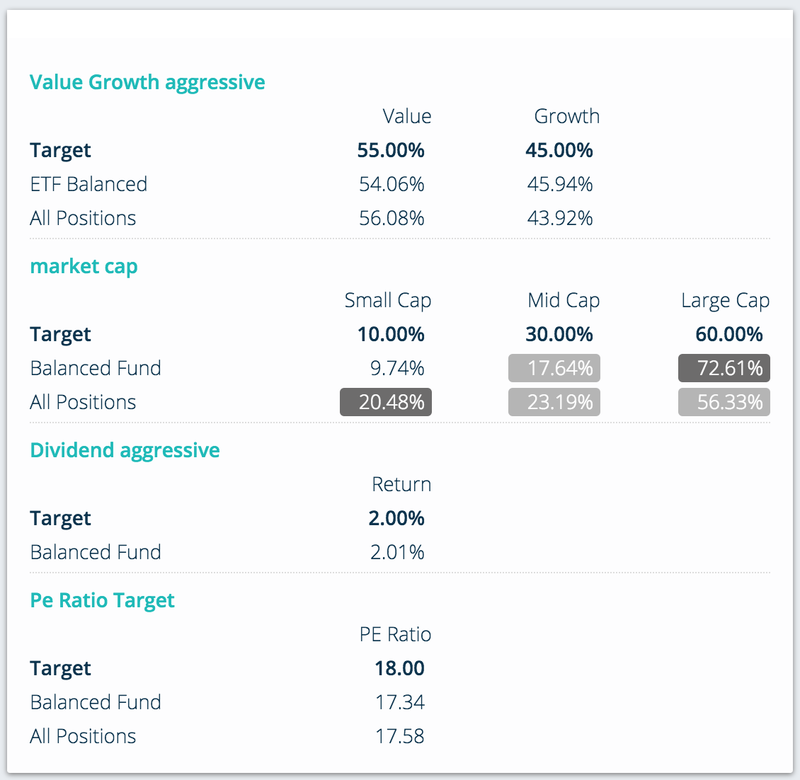 While we can’t change your emotional makeup (nor would we want to), at DIY.Fund we’ve implemented a few features that serve the dual purpose of driving performance, and helping DIY investors prevent emotional changes to their portfolio maintenance strategy. Rather than emphasizing compound growth alone (which only serves to amplify recency bias), our platform updates you on your progress towards your goals. 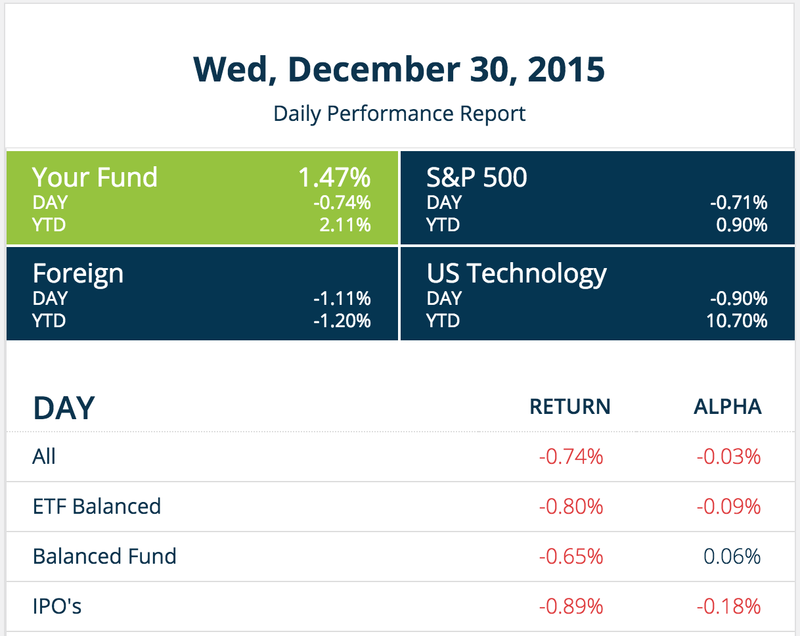 We help you keep your portfolio balanced, by alerting you when it’s out of line with your target asset allocation. We help you keep up to date on whether or not you’re achieving your desired dividend yields. We inform you when your portfolio’s actual volatility is out of line with your desired risk. By emphasizing portfolio management, DIY investors can focus on the things they can control (their inputs) rather than the things that they can’t (market performance). Doing this helps keep investors sticking to a disciplined investing strategy. The most important thing to understand is how you’re tracking relative to your goals. DIY investors should be able to maximize their risk adjusted returns. To do that, investors need to know more than just their annualized returns. Our dashboards provides meaningful statistics on risk and returns contextualized by your portfolio goals and the rest of the market. By generating visual dashboards that are based off of your goals, we make it more intuitive to stick to your strategy. Benchmark your performance for less emotional investing. The only weapon that DIY investors have in their battle against their emotions is knowledge. The tools that DIY.Fund provides are as robust and accurate as the tools that professional portfolio managers use. We help you take a long run view of your portfolio, so that you can stick to your strategy and see portfolio returns that are commensurate with your true risk profile. What are you doing to stick to your strategy when emotions run strong?